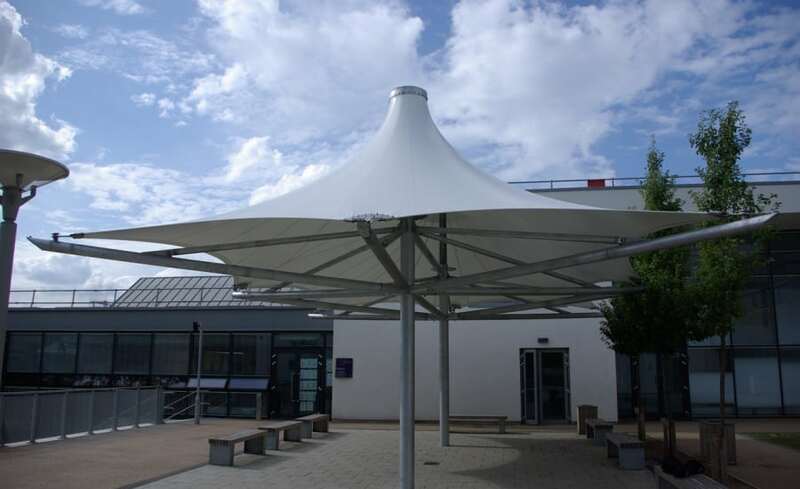 St Matthews Academy on the outskirts of London was looking for a way to provide something new, exciting and different for its students and with outside space a highly valued commodity, they wanted to extend their school outside the boundaries of the building. 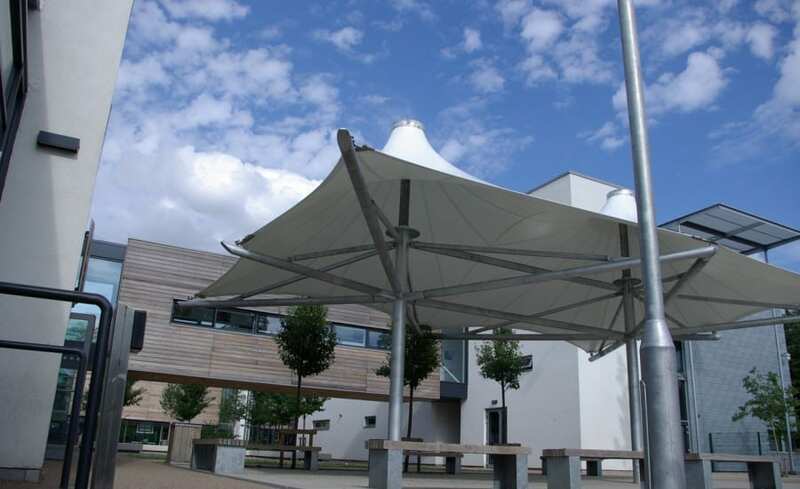 Headteacher Monica Cross was keen to create a sheltered multi use space at the new school in East London and after spotting similar Architen Landrell structures in the local area they approached us to design, manufacture and install a double conic structure. 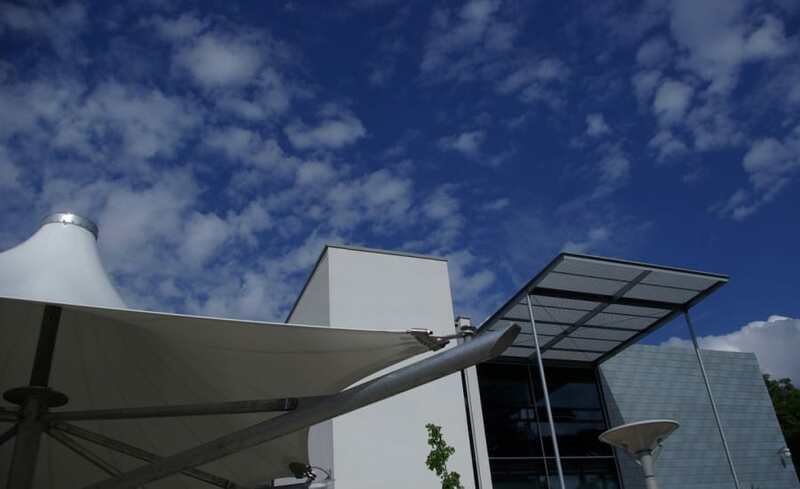 Although a standard product, our design team worked alongside the school to ensure that it fitted with the surrounding environment and enhanced the space. 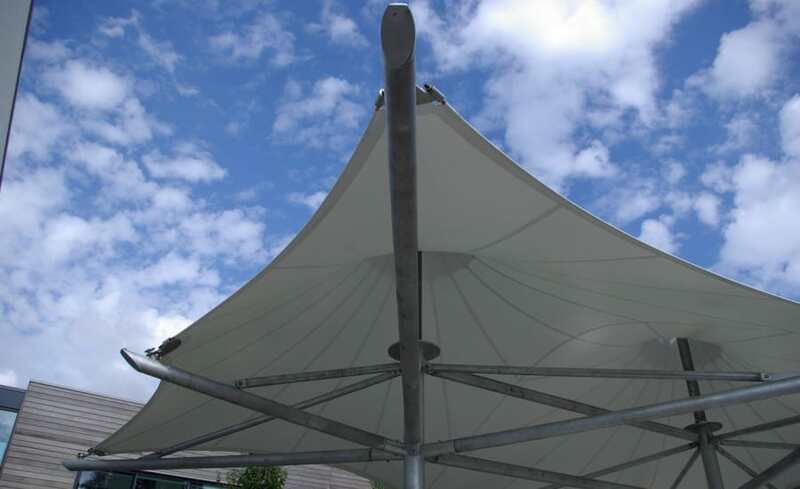 In particular, the steel was fabricated with a galvanized finish to blend in with the exterior design of the schools architecture. Working around the schools holiday meant careful program coordination, but our installations department was able to adapt/accommodate as the program shifted. 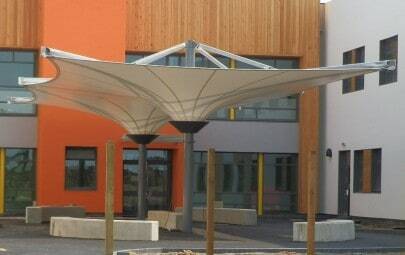 It took only a few days to install therefore causing minimal disruption to the school routine! The school is thrilled by the addition to the space. 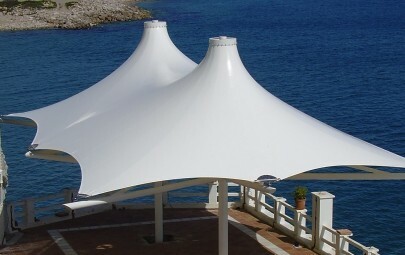 Teachers and children alike, as the 8m x 11m canopy footprint creates a well sheltered and multi-purpose environment. 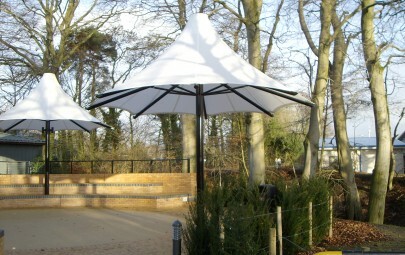 Project Manager Kate Cox comments at different times of the day it serves a range of purposes; from a pick up and drop off canopy, to an outdoor covered classroom space, it has undoubtedly brought another dimension to the school environment. 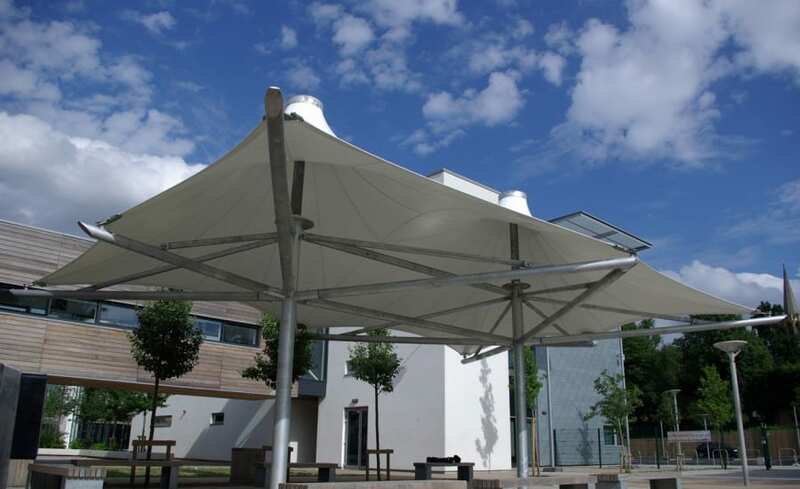 Since the work at Saint Matthews and surrounding schools, our structures have become synonymous with school canopies in the area and the double conic at Saint Matthews is a fine example of how our structures can enhance a schools environment without breaking the bank!